Pete Smith's practice includes real estate, corporate matters and trust | estate planning. His ability to identify title issues or concerns and know how to solve them comes from his deep industry experience. With his expert knowledge, Pete acts quickly and decisively to guide you in how to separate the important from the ancillary. Sharper insight helps you move forward. Pete focuses on all aspects of real estate development and financing with emphasis on construction finance and deal structuring. He also works extensively in corporate | business law and estate planning. 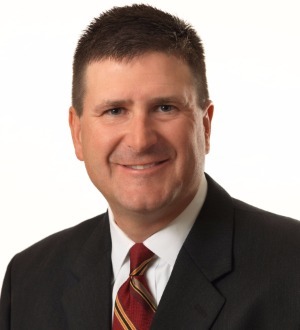 Pete serves as a title agent for First American Title Insurance Company and has extensive experience representing lenders and real estate developers on projects locally and nationally. He has a deep understanding of real estate deal structuring and methods of financing including: traditional secured debt, equity, tax incremental financing (TIF), bond financing, mezzanine financing or private placement. Pete will work with you to determine what financing or combination of financing will suit your project best. Starting at Strauss Troy as a University of Cincinnati sophomore, Pete has literally conducted hundreds of title examinations for the firm over the past two decades. He knows this area of law inside and out. As a result, he saves clients considerable time and money, puts them in touch with the right contacts to accelerate projects to completion and effectively shepherds transactions to the closing table and beyond. Pete takes personal pride in providing both value and great service to his clients. He is always responsive and efficient when working on your legal needs. As a self-described “hyper-avid golfer,” he will happily meet you on the links anytime to discuss a transaction. Over the years, Pete has served on the firm’s board of directors and management committee.